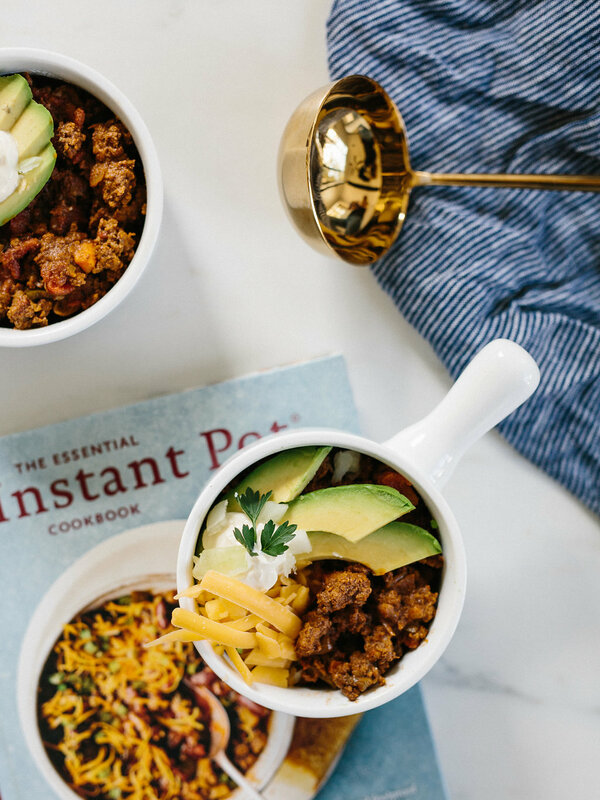 Do you have an Instant Pot? I have been hearing murmurings about it for months now. Dramatic murmurings like, “It’s changed my life!” and “This is the greatest invention!”. I already have a slow cooker and a dozen other small kitchen devices and appliances taking up precious space in the kitchen so it took longer than I wish to actually try it out myself. Now that I have, though, allow me to add those dramatic murmurings, “Why do I even have a stove? 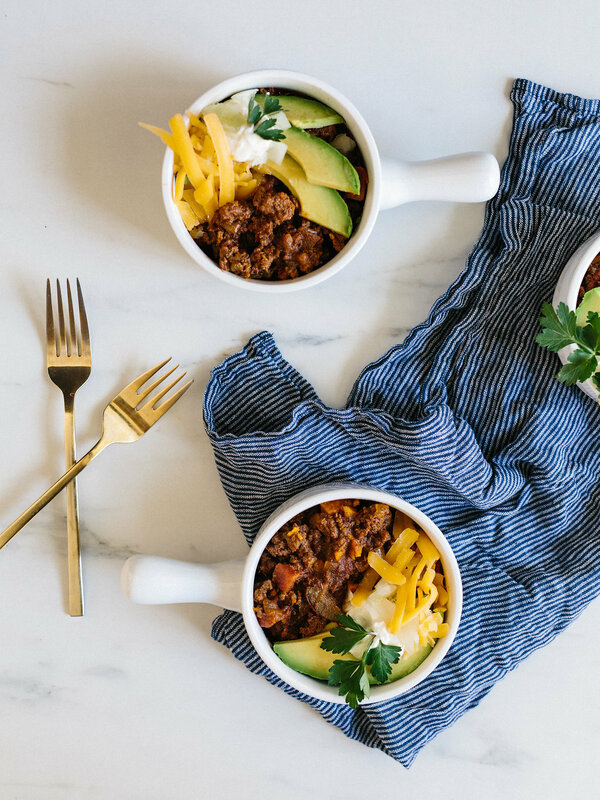 !” (I should preface that this post is not sponsored by Instant Pot. I just love it.) Seriously, though. It cooks so fast. Meats come out so moist. You can even sauté in it! I love it so much that I asked William-Sonoma if they would partner with us to give one away on Instagram this week and they so kindly agreed, so be sure to read to the bottom for details on that. 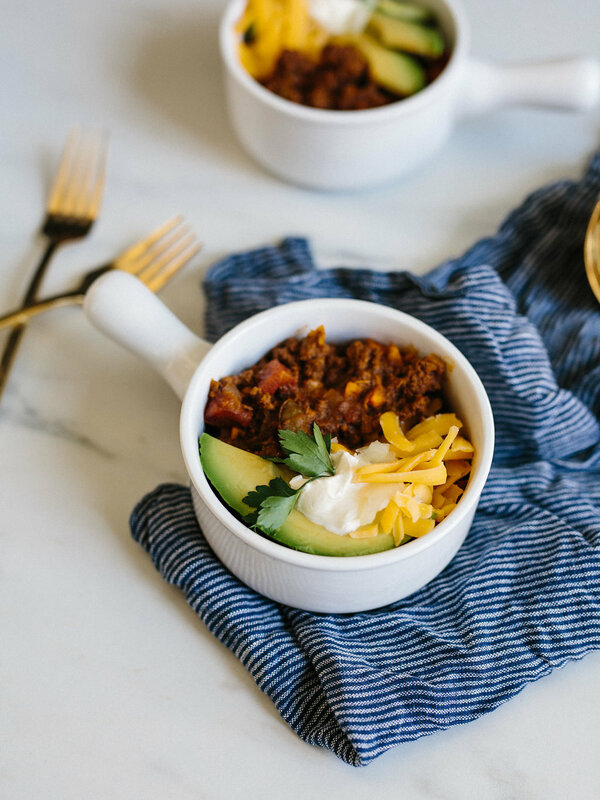 In the meantime, keep reading for the most delicious chili that (sans garnishes on top) is Paleo, Whole30, Gluten-Free and can be made in less than 30 minutes from start to finish! Press the sauté button on the Instant Pot and wait for the screen to say hot. Once hot, add avocado oil. Wait about one minute for oil to heat up, then add veggies– sweet potatoes, bell peper, and onion– and 1 teaspoon salt. 7. Mix well and then close the lid and cook on high pressure for 15 minutes. 8. Before serving, taste to see if it needs more spicing. 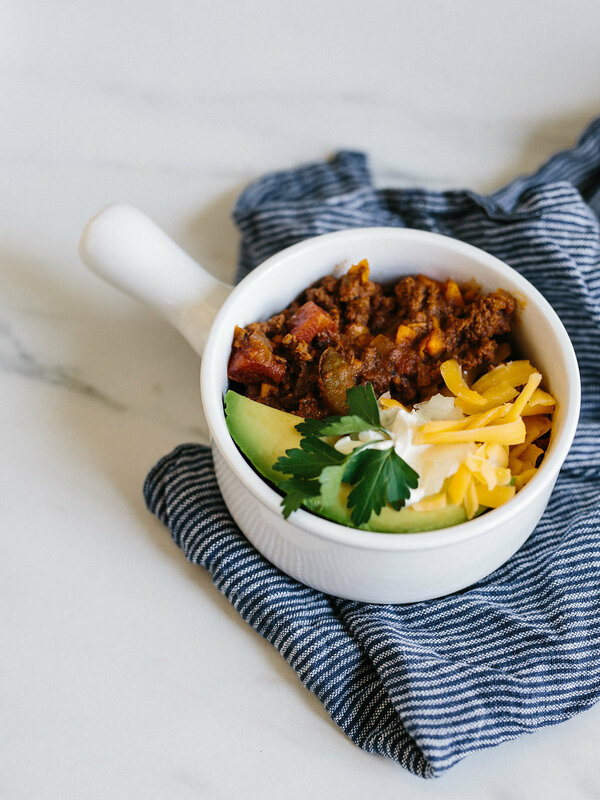 Serve with your favorite toppings! 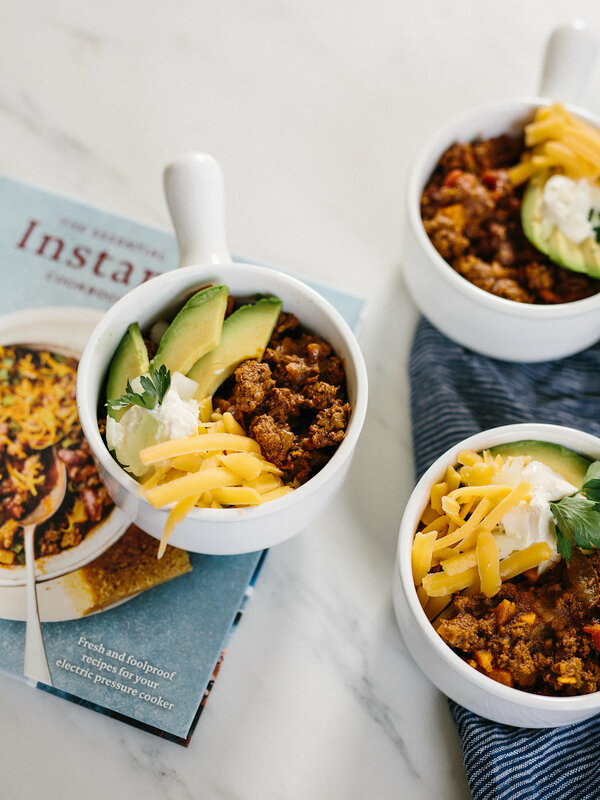 Want to win your own Instant Pot and cookbook? Head over to Instagram and look for the photo from this post to go up today. Leave a comment tagging two friends and make sure you’re following @JenPinkston and @WilliamsSonoma. The winner will be chosen on Friday, November 10th. You must be 18 to win and have a US mailing address. This looks so good. perfect for a cold day!